When Insight launches, it begins with an empty session. As you open the subset of project data that you require, and configure your views and other display settings, this state is recorded in your session. Typically, you will create separate sessions for different parts of the workflow rather than load all the project data into a single session. In a multi-user environment, each user will maintain their own session. Sessions are autosaved every few minutes to avoid losing data as a result of a hardware failure or power outage. Select Open Recent Session and the list of recently saved sessions in the current project will be displayed. Click the recent session that you want to open in Insight. Click Open Session. The Open Session window will be displayed. Select the session file that you want to open and click Open. If there are many sessions in the project database, you can filter the sessions by entering the Name, Owner and/or Notes of the session. Based on the search results, select the session you want to open. 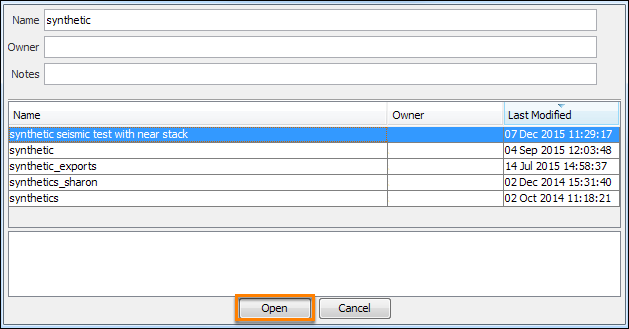 A session will be created in the project database when you save the session. Note: If you have made changes to a session but have not saved the changes, the software will prompt you of unsaved changes when you want to create a new session or open another session. At the warning message, click Lose changes to lose all the changes you have made and proceed to creating/opening another session. Otherwise, click Cancel and save the current session before you create a new session or open another session. 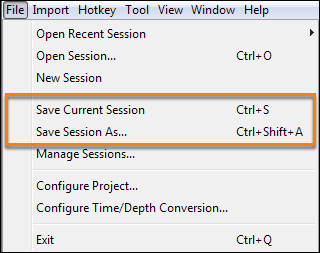 Click Save Current Session to save the current session to the project database. This will overwrite the current session. If this is a new session, you will be prompted to type a session name and click OK. Note: If you do not wish to overwrite the current session, click Save Session As. 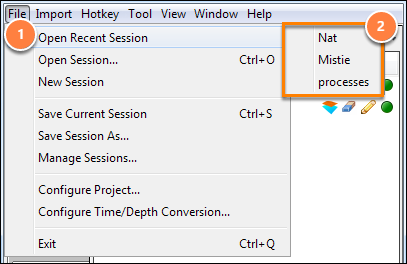 Type a new session name and click OK.
You can change the name of sessions that have been saved in the project database and also type any notes related to a session. Click Manage Sessions. The Manage Sessions window will be displayed. All the sessions that are in the project database will be shown in the table. Select a session and click Edit Selected Session. Alternatively, double-click the selected session. This will open the Edit Session Settings window. Type a new name for the session. By default, the session name is based on the name of the session file you have imported from the project directory. Type any comment or note about the session at Notes. Click OK to close the Edit Session Settings window. 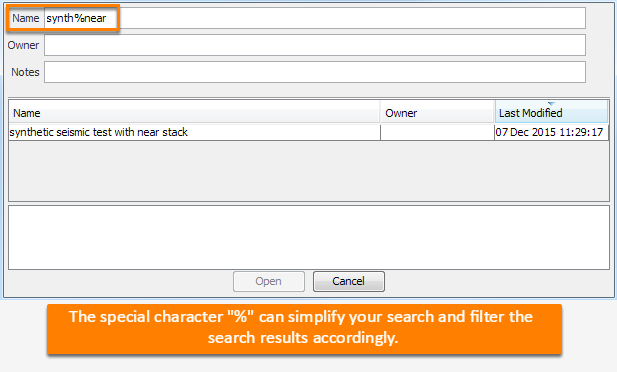 In addition, you can delete any session from the project database. 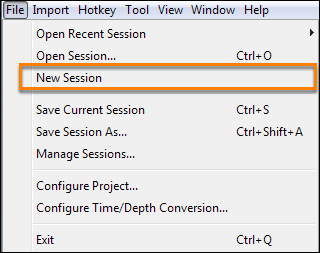 In the Manage Sessions window, select a session and then click Delete Session. A confirmation window will be displayed to warn you of the consequences. Click Yes to confirm the deletion of the session or No to cancel the deletion.